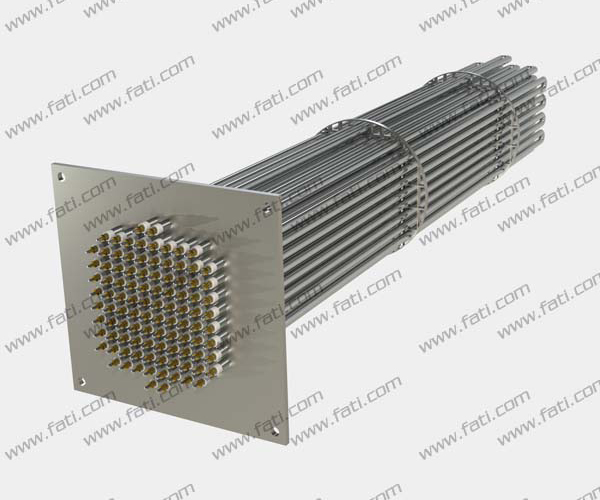 F.A.T.I. 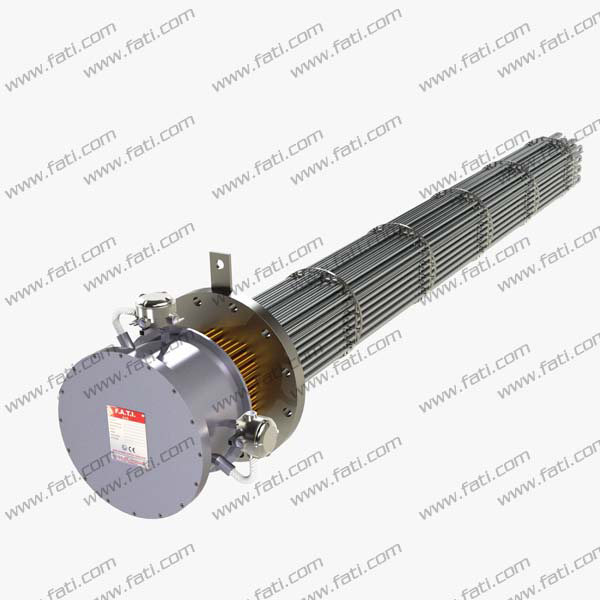 range of immersion heaters is suitable for heating all process fluids, which are non-corrosive to the materials of construction. 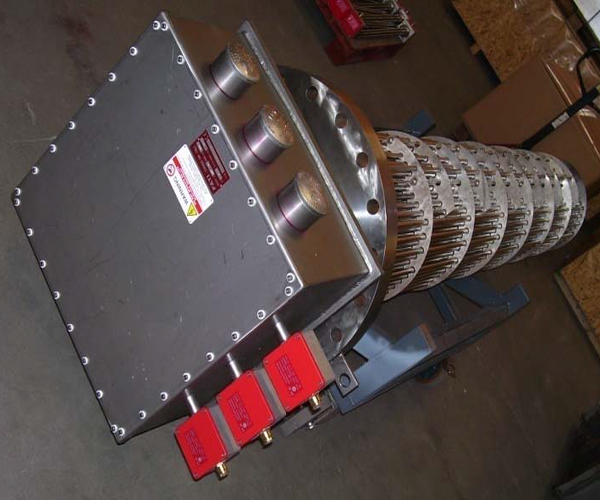 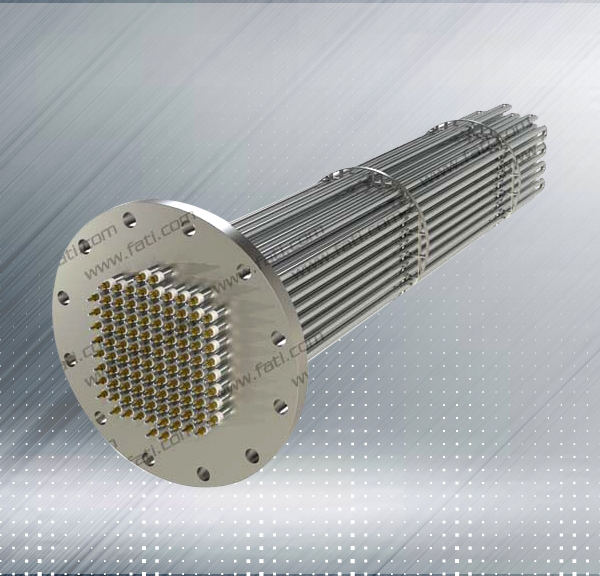 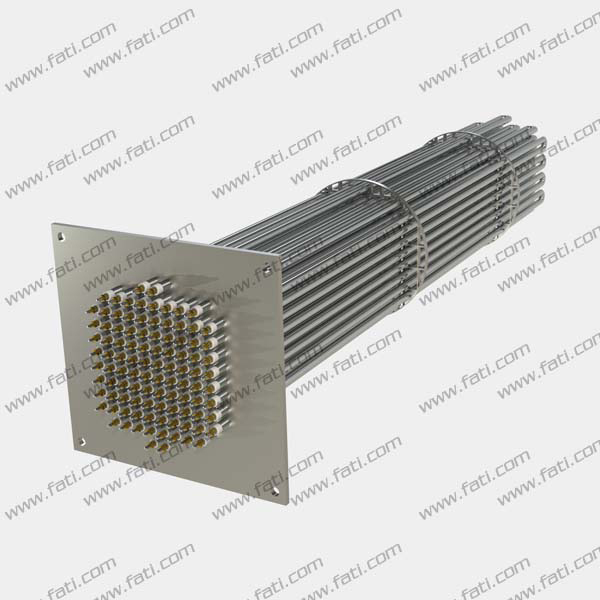 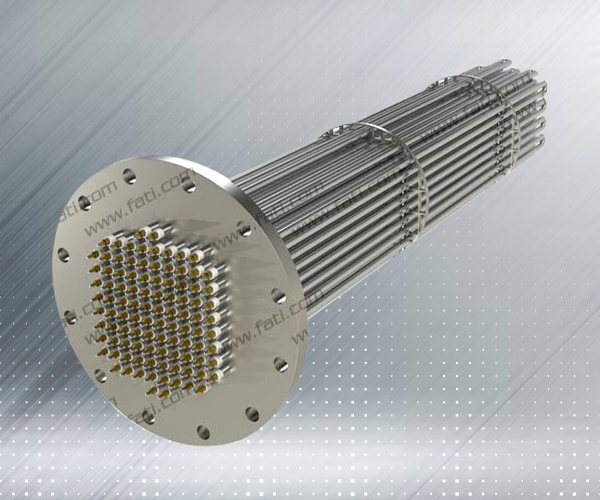 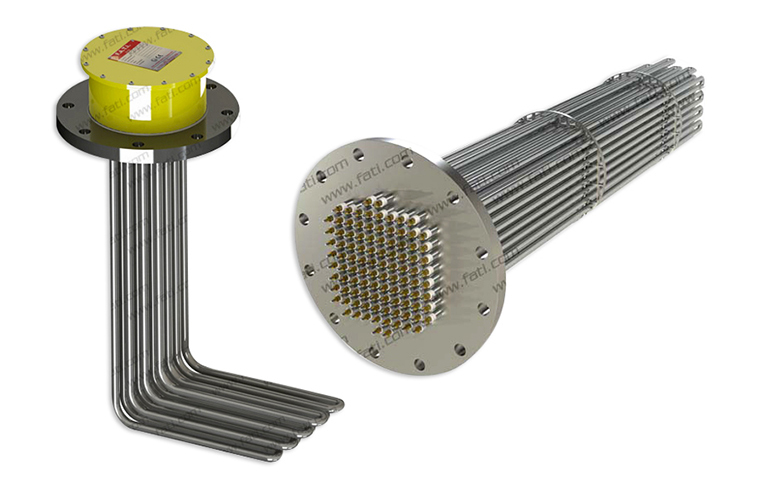 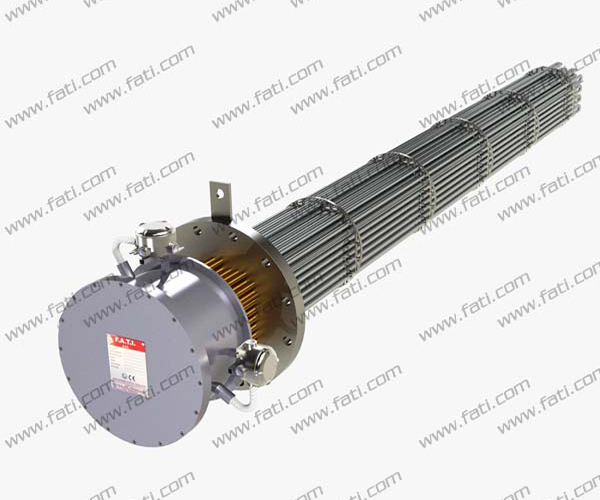 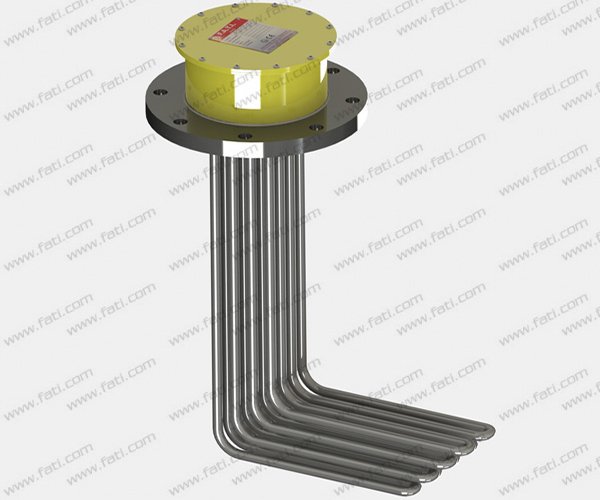 They are primarily intended for use in bulk storage vessels, flow heaters and hot water calorifiers. 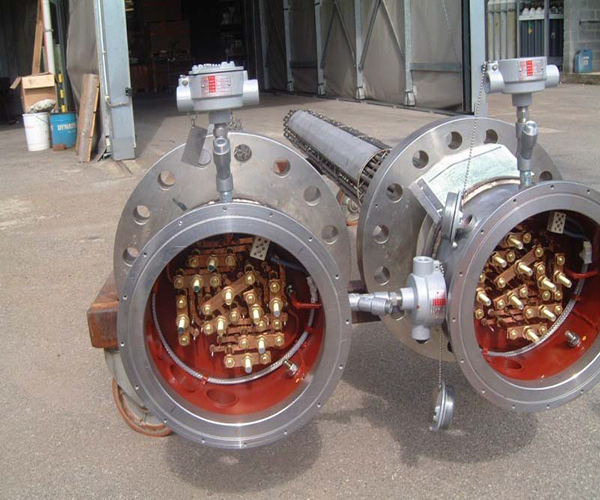 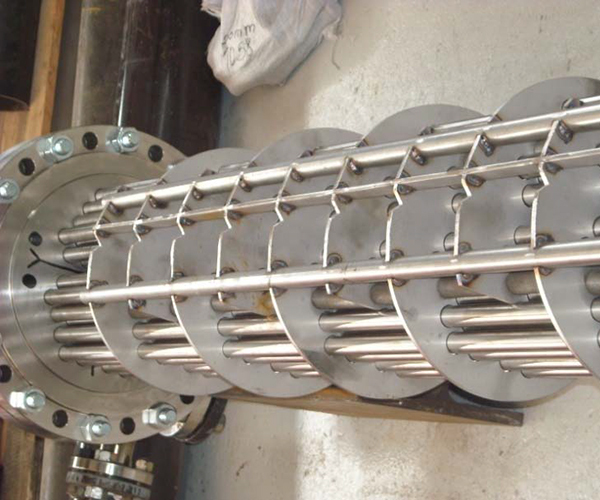 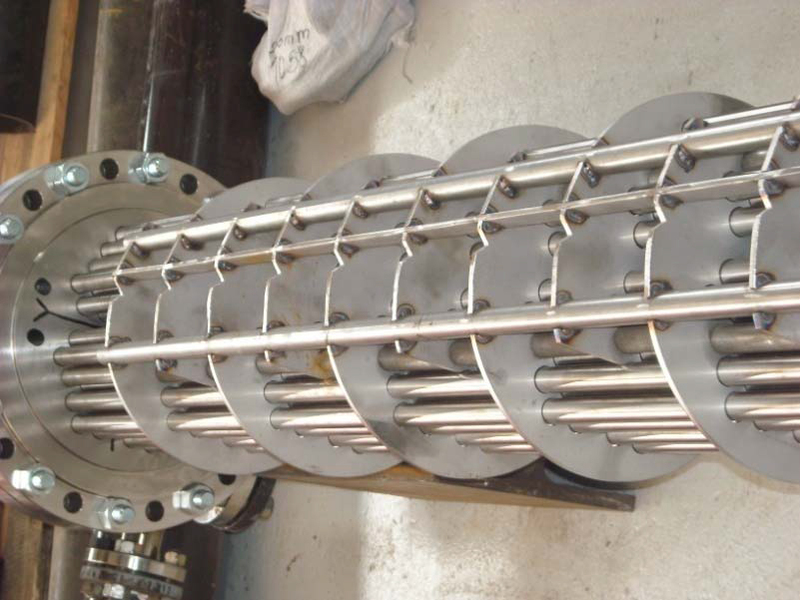 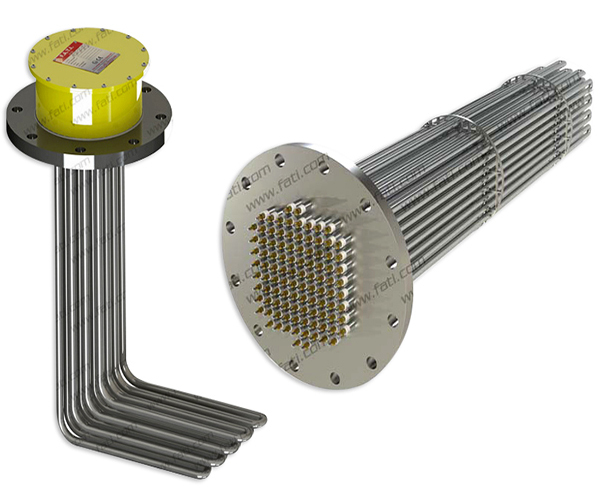 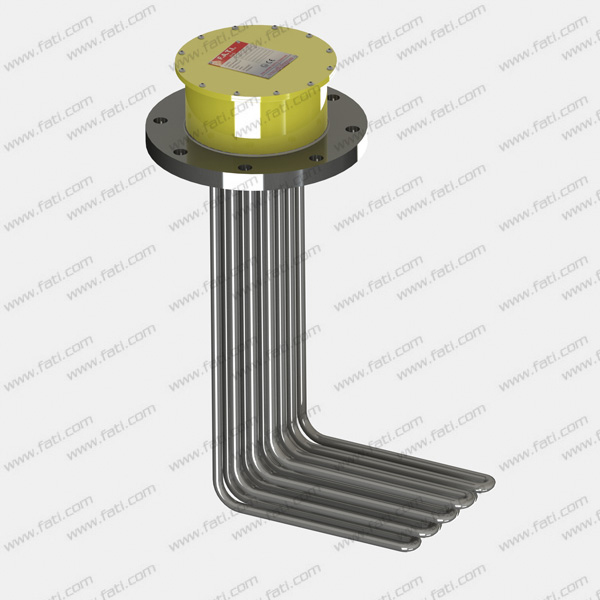 Ideal for generating steam and heating gases and liquids in pressure vessels and tanks, Flanged immersion heaters are hairpin-bent tubular elements, welded to a flange, provided with electrical safety devices and a suitable junction Box. 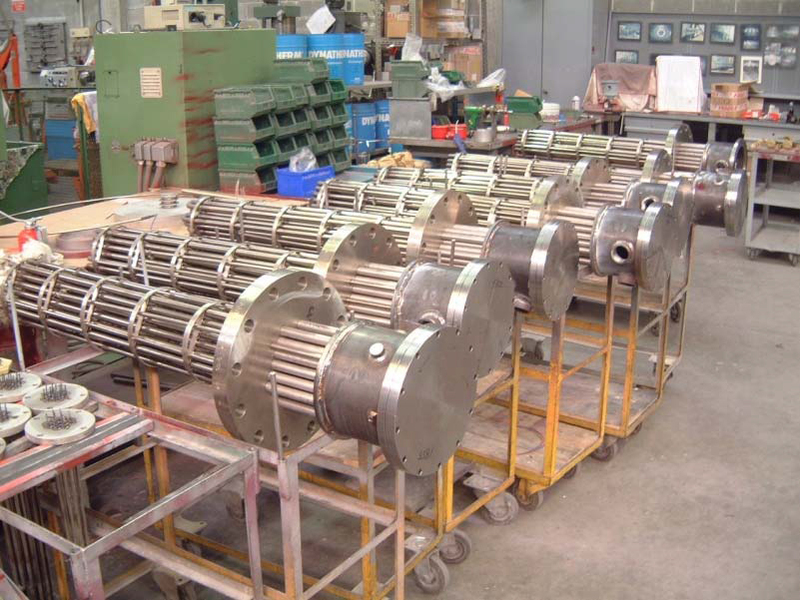 Particular material can be provided on demand. 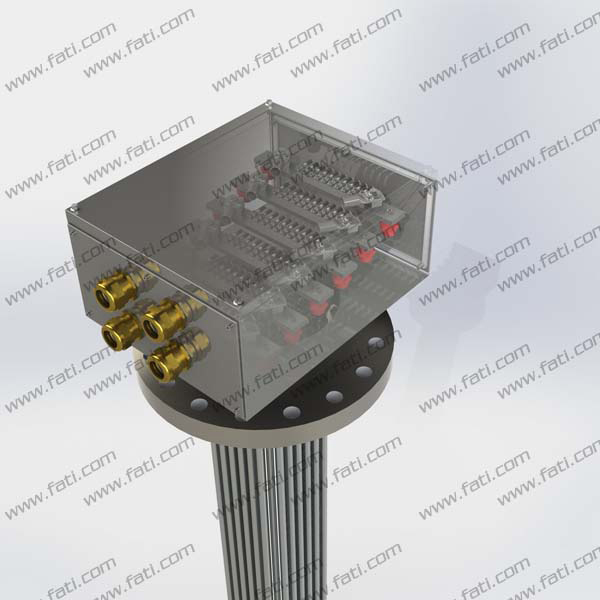 Over‐the‐Side Immersion heaters occupy little workspace, require no tank penetrations, and are easily withdrawn for servicing and replacement. 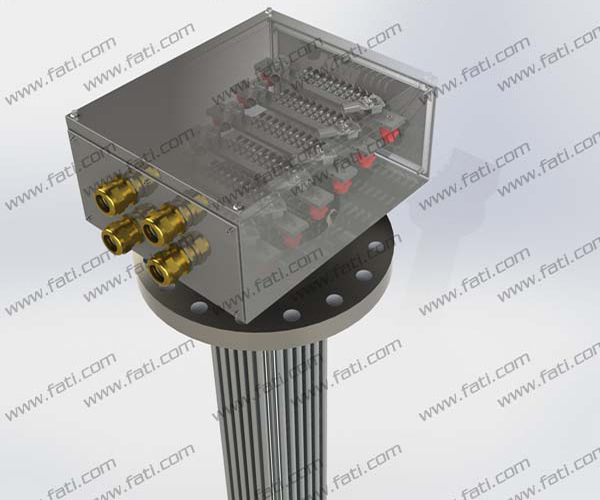 They are immersed within a tank to evenly distribute heat in a variety of applications Including acid or alkali solutions.